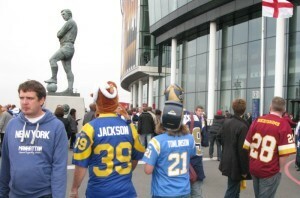 Six years ago the NFL took the big decision to play a real, regular season game overseas, choosing our own fair city as their European base of operations. After six years building on an already enthusiastic following they took a risk in announcing a pair of games for 2013. Tickets for both sold out in very short order when they went on sale. Now, it's been announced that our enthusiasm for football, American style, is to be rewarded with three games in 2014, amounting to almost half a standard season of home fixtures. The Jacksonville Jaguars, poised to be regular visitors, will be one of next year's home teams. "The experience the Jaguars have had already in London has been every bit what we anticipated and more and this is all before we've even played our first game in Wembley Stadium," said their owner Shad Khan in advance of their fixture with the San Francisco 49ers at the end of this month. Another of the home teams will be the Oakland Raiders, a club who, like the Jaguars, have had some challenging times in recent seasons. They will hope to feature Mancunian Menelik Watson and London's very own Jack Crawford in their line-up. Crawford was in the same year as the embodiment of Harry Potter himself, Daniel Radcliffe, at City of London School. The third will be the Atlanta Falcons, a team who have reached the playoffs in the last three campaigns and might be one half of a matchup between genuine title contenders, something the UK following has been hoping to see at Wembley since these games began. Falcons Owner and Chairman Arthur M Blank hinted at the attraction of crossing the Atlantic for both his own city and Oakland when he said “Playing in London will provide tremendous exposure to our team, as well as provide the opportunity to showcase the great international city of Atlanta." When the International Series comes to London each autumn you hear almost as much talk about possible alternative venues as you do about the chances of a franchise or a Superbowl coming here. 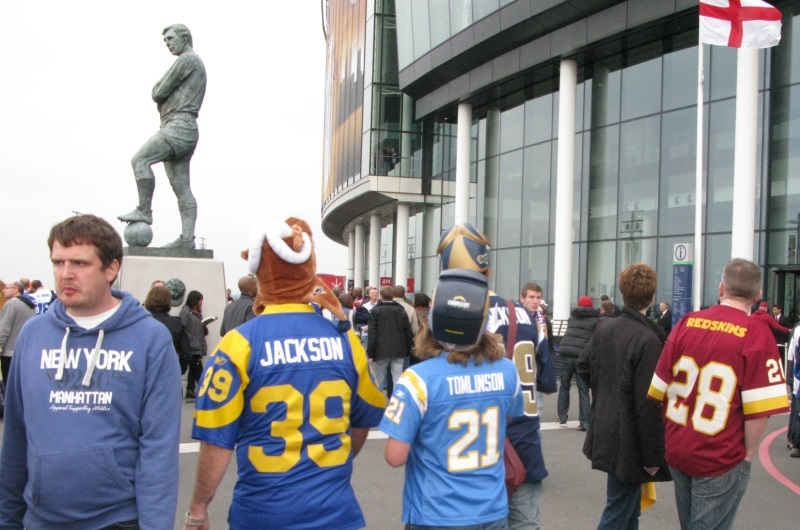 Wembley's management must therefore be delighted that the NFL is acknowledging the suitability of what Wembley is offering to the teams and the fans by making a firmer commitment to the venue than ever. It's also a great compliment to London as a thriving centre of world sport and a commercial centre with great links and opportunities that the NFL doesn't seem to be thinking of going anywhere else.